"Give It All I Got"
"A Little Bit Of Crown"
I’ve been listening to a preview of Matthew Huff’s upcoming CD "Give It All I Got” and I am looking forward to it hitting this week so y’all can hear it!! The gentleness in Matthews’s voice and his sincerity come through song after song. Musically it is strong and it really showcases the lyrics, the stories being told. It is a great fusing of “country music” with “new country” so I think it has success written all over it. It’s one of those albums where each new song is “ooo I like this one.” The title track “Give It All I Got” is outstanding!! Matthews’s authenticity is heard from word one! “Kill A Little Time” puts a new spin on what a “summer anthem” song can be. “Little Man” and “Don’t Forget Your Yesterdays” amongst a few, are they type of the songs that everyone says is missing in country music these days. They are real – old time type lyrics not just about a party in a truck out in the sticks. Matthew is “A country rooted artist with several musical genre inspirations” and that might explain some of the uniqueness of the CD. 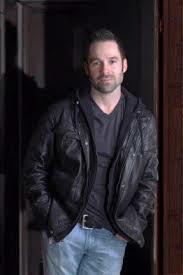 Mathew wrote 9 songs, and co-wrote 2 with Terry Smith and Lance Carpenter. And there is a cover of Usher’s hit, “U Got It Bad” as well, which is an interesting addition to the album. It allowed us to hear a very different side of Matthew and his vocal ability. I rather enjoyed his Country twist on a great R & B tune. The CD is fantastic, lyrically it has sustenance, great music along with some pretty amazing, raw & gritty, spot on vocals. Matthew dug deep for the CD and it has paid off for his fans really for country music fans! Oh yeah just a little tid-bit here: Matthew was voted by fans to the Top Artist on Artist Signal for September 2013. I would highly recommend this CD being added to your music collection. His music is also available on iTunes. The official release date of the CD was April 17th 2014.